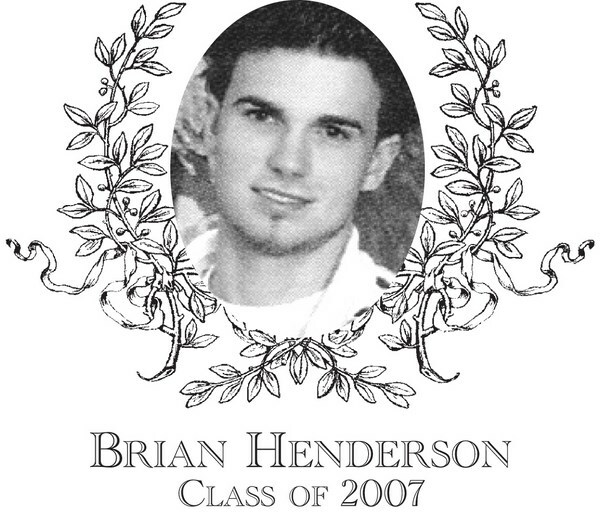 Brian Henderson, Class of 2007, was a two-sport athlete starring in both basketball and soccer for Bartlett High School. On the basketball court, Brian starred as an extremely fast and athletic force, taking pride in press defense and covering the opponent�s top player. Brian is a 1000-point scorer with 1,093 points, accomplishing the feat in just three years. Brian was Co-MVP his senior year and also received SWCL All-Star and Telegram and Gazette Honorable Mention. Brian helped lead his senior team to SWCL and District Championships and his junior team to a Clark Tournament Championship. As strong as Brian was on the court, he made his name on the soccer field. Brian played five seasons for the Indians. His smart, skilled, confident, and unselfish demeanor helped to better all his teammates. His career consisted of 86 goals and 38 assists, which makes him the highest individual career goal scorer in the history of Bartlett High School Soccer. These numbers are even more impressive when learning that Brian attended St. John�s High School his freshman year. Brian scored seven goals his eighth grade year to lead the team, twenty as a sophomore, twenty-two as a junior, and an impressive thirty-seven goals as a senior which makes him the highest single season goal scorer in BHS soccer history. In addition to being a two-time MVP, three-time SWCLAll-Star, three-time Central Mass All-Star, two-time Telegram and Gazette All-Star, and two-time All State All-Star, Brian had the distinction his senior year of being selected as an All New England All-Star. Brian�s senior year was capped by scoring the game winning goal with only twelve seconds remaining in the thrilling State Championship game, leading Bartlett to its second overall State Championship ever and its first for the soccer program. The State Champion 2006 Soccer Team is also being inducted this year. Following graduation, Brian attended Temple University where he continued his soccer excellence, leading his team in goals his freshmen year and being selected to the Atlantic 10 Conference All-Rookie Team. Brian graduated in 2011 with a Bachelor�s Degree in Communications. Brian currently resides in Webster, but will soon be relocating to the Boston area. He works for Swedish Match as an Account Representative in the North Shore area.